// How we spawn new sprites!!! // Makes sure there arent a ton of different layer values for each new sprite created. // It now has a sprite buddy! So lets not spawn a bunch more until we need one. 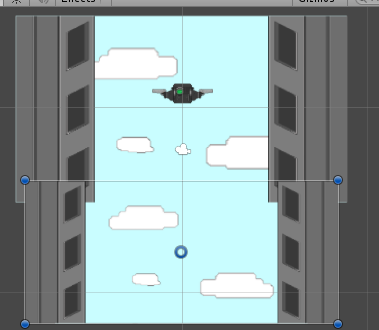 The sprites are getting downscaled by what appears to be different amounts when they are cloned. 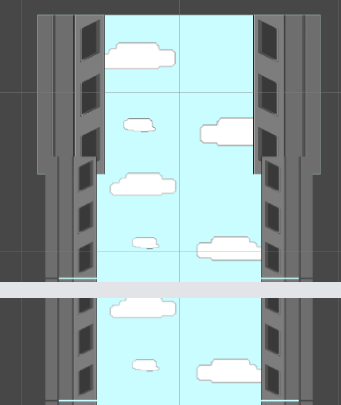 The scaling on my background clouds is turned down to roughlly .84, and my buildings to the side of the cloud is scaled down to a scaling of .76. Here is a screenshot of what is occuring. Anyway after finally getting my scrolling to work I was saddened by this bug :( maybe you can make me happy! All replies are welcome! Put some debug statements before and after this line to see if scale changes. Also, if reverseScale is ever true check if that affects it in anyway. Hope this helps in some way! @benbendixon What's the scale of "myTransform.parent", "myTransform" and what's the parent of the first object that has got the correct size? The instantiated objects may have a scale of 1, but that is always relative to the parents scale. If your parent has a scale of 0.5 for example, that'll squeeze your childs in the respective axis. @Suddoha You sir are a genius, my parents were just random empty objects because I wanted to be organized, and their scaling was odd. Much love. Much love.